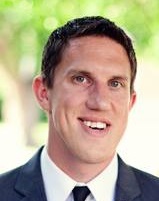 Mr. Wall earned the Master of Public, Administration in 2013 from Wichita State University and a Bachelor of Arts in Philosophy/Religious Studies and History in 2011 from Southwestern College, Kansas. He is an active member of the Kansas Association of City/County Management and the International City/County Management Association. Taggart has a degree certification from Wichita State University in both city/county management as well as public finance. Taggart has served on taskforce for different issues in local government including his most recent assignment on the "ICMA Breaking Into Local Government Taskforce", a taskforce aimed at helping those new to the career either from school, military or private industry better adapt to the work enviroment found in local government. Mr. Wall was a management intern and later a management assistant in Arkansas City from 2012-2014. He previously served as an intern to other organizations including a winter seminar at the City of Derby and previously Cowley County Economic Development. During his time at Wichita State University, Wall worked in the Kansas Public Finance Center as a graduate assistant and the George Van Riper Public Finance Fellow assisting faculty and staff on various consulting projects with the City of Wichita and Sedgwick County, Kansas. Wall began his local government career serving as a municipal elected official in Winfield, Kansas from 2009-2013. Taggart is a Kansas native, and grew up in South Central Kansas. He is married to Elizabeth Wall, an elementary school teacher. They have two children, Ashlynn and Anderson. They reside in Sterling. During his tenure, Wall has made the key hire for the police chief, strengthened college and city ties, negotiated long term power supply and adapted the organization through a force reduction and budget alignment process focused on targeting tax payer and user fees to necessary public improvements to infrastructure and facilities. Wall has accelerated business development/expansion and housing growth as part of an economic development strategy including key annexation and long term infrastructure.